George William SIDES was a son of Henry Alley and Mary (nee PREECE) SIDES. 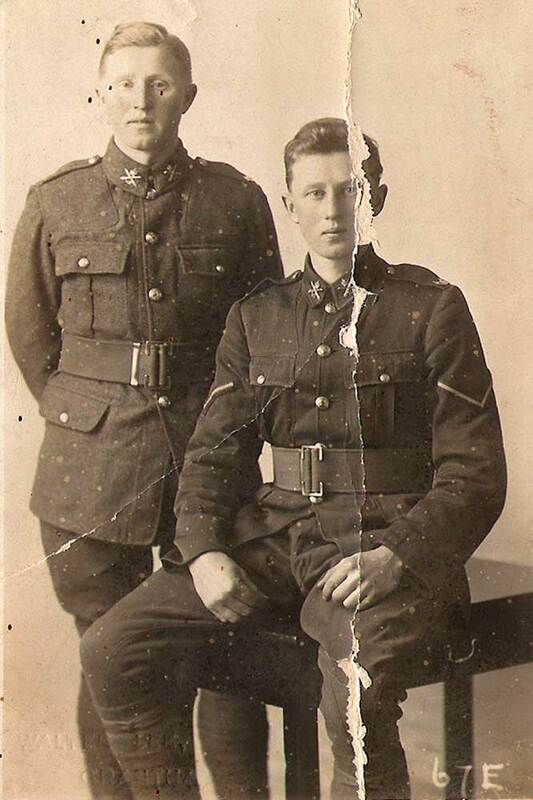 His brothers Henry James SIDES and Frank Roy SIDES also served in WWI. George was listed in the 1913 Timaru Technical School roll book, whre his occupation was given as famer, his address as Te Weka St, and he was enrolled to study shearing. George was one of many keen and determined applicants at the Drill Shed on 11 August 1914. He was not one of those rejected, mostly for defects to the teeth and one or two on account of height; he passed the medical exanimation and was sworn in. The successful applicants were liable to be called up at any moment, and it was quite probable that they would leave Timaru in a matter of days for the central camp at Christchurch as part of the 2nd South Canterbury Regiment's quota. G. W. Sides' name is inscribed on the Wesley Church Roll of Honour in the Bank Street Methodist Church. This Roll of Honour was unveiled at a very impressive service in early June 1915, after an address by the Rev. T. A. Joughin, opening with the words ""Sorrow and pride mingle in the duty I have to perform"" and while the ""Litany for Army and Navy"" was sung. "